Well, here is the second installment of a series that will be picking up some steam pretty soon. 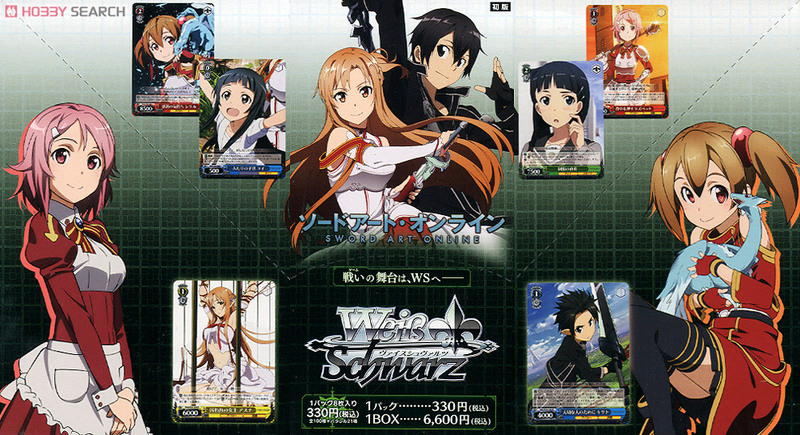 Will got his hands on a booster box of Sword Art Online Weiss Schwarz cards. What is cool about this? He got the english set before the official release. Since it was mostly Will’s sister that was excited about this set, the rest of the guys aren’t going to be in this video. Don’t worry, we will be making more pretty soon. Check out the card sets from Weiss Schwarz here! If any of you play this game, then you should hit us up. We are trying to hunt down a few sets, but we are pretty new to the scene. This show was bound to be in this game.